Today is Themed Furniture Makeover Day! I always look forward to this day to see how differently my friends and I interpret each month’s theme. For May we chose flowers (fitting, right?) 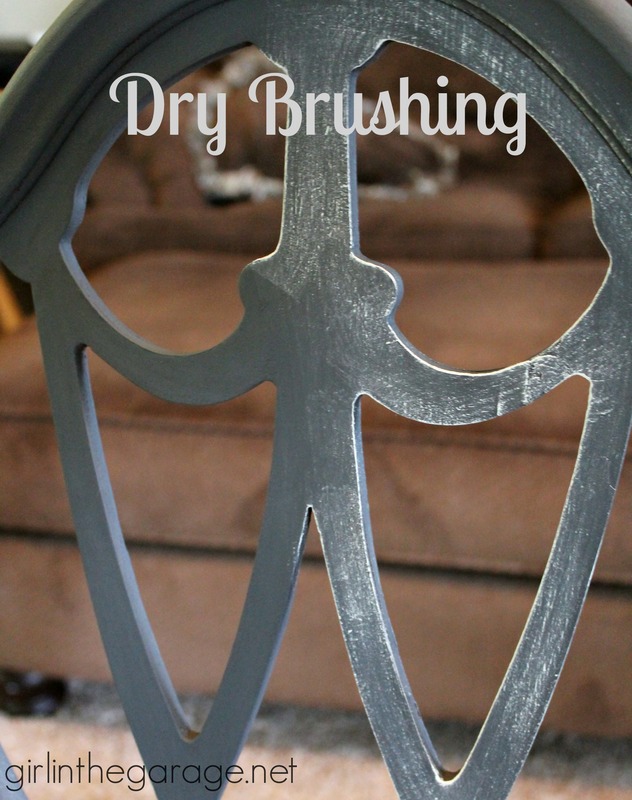 and this is my dry brushed chair makeover. I did some gluing and wood-filling to try and repair the back. 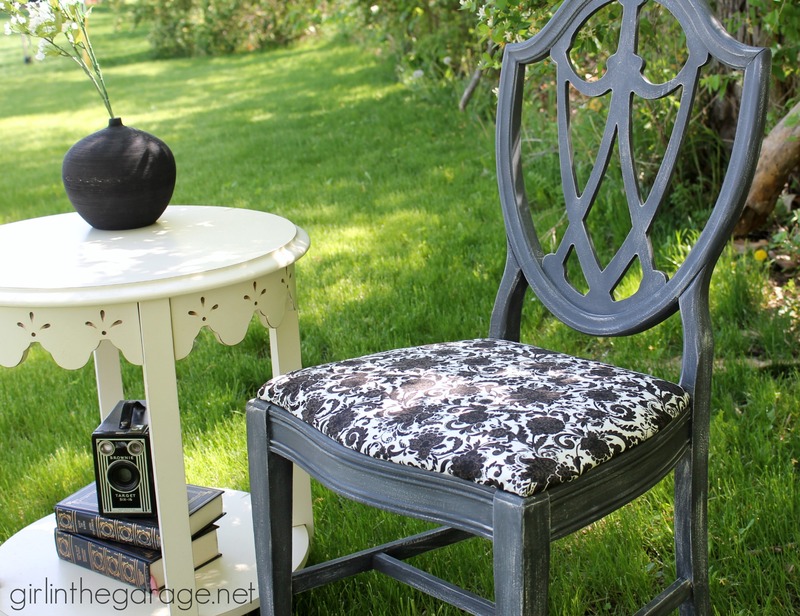 Then I painted the chair in Graphite Chalk Paint® and dry brushed Old Ochre Chalk Paint® over it. Dry brushing really gives it a lot more character and the Old Ochre gives the edges much more definition. You can see the difference below. To dry brush, you dip the tips of your paint brush lightly in your paint and then blot it several times on a napkin or cloth. You want to get almost all the paint off so there’s just a hint left and then lightly brush it onto your piece. 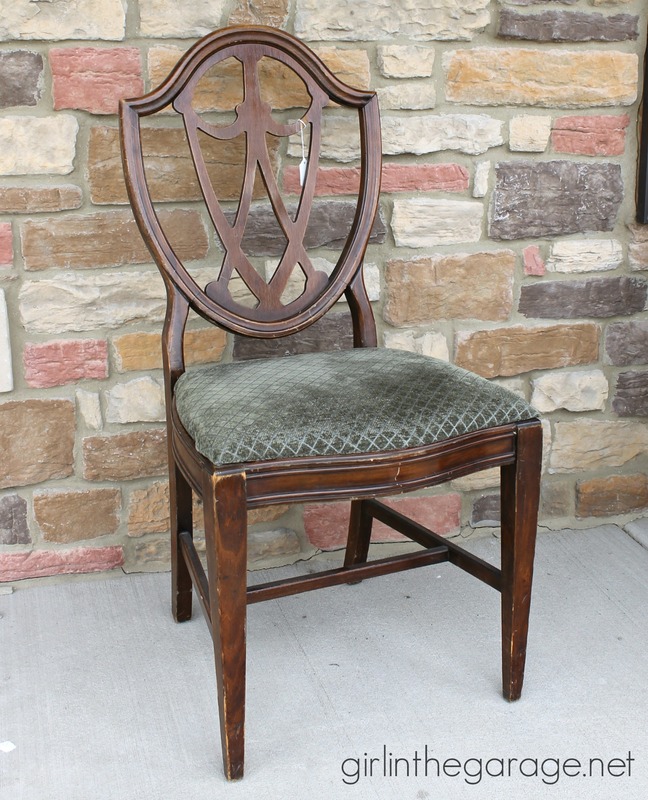 It’s a great way soften the look and subtly make something two-tone. 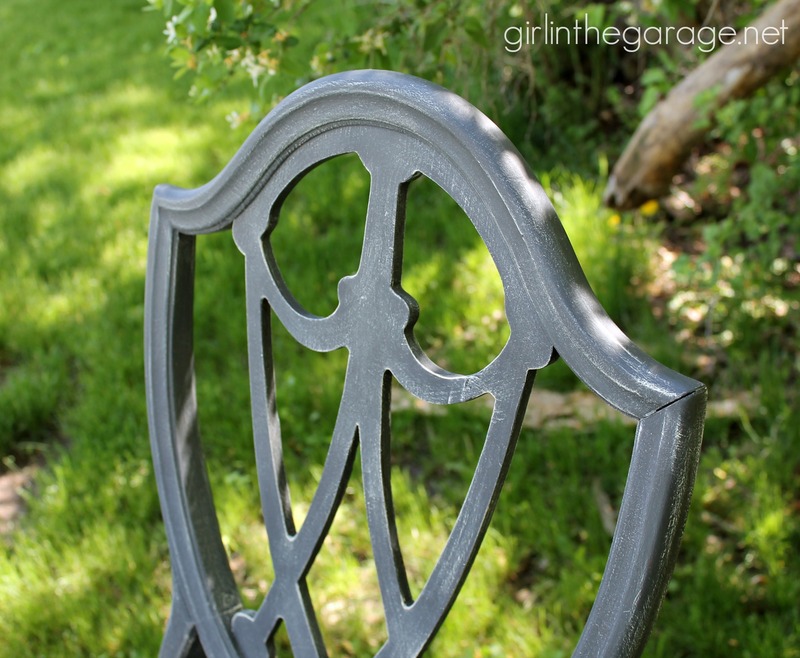 I waxed the chair in Annie Sloan clear wax and then recovered the seat. I used some leftover fabric from the DIY shower curtain I made last year – not your typical floral fabric, but I like how the black, gray, and cream look together. It’s been a while since I’ve dry brushed and I forgot how awesome it can look on the right piece! So that’s my “flower” project for May- what do you think? Have you tried dry brushing before? 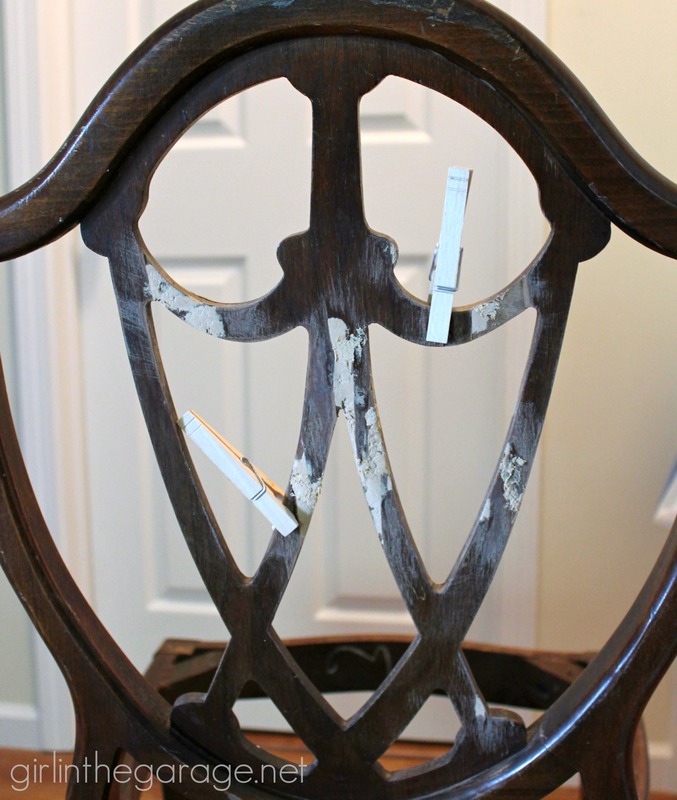 Check out all my tips HERE for doing any chair makeover by yourself. Be sure to visit my talented friends below to check out their flower-themed furniture makeovers too! Jen I love the graphite color! And that fabric is awesome…..really like the print. 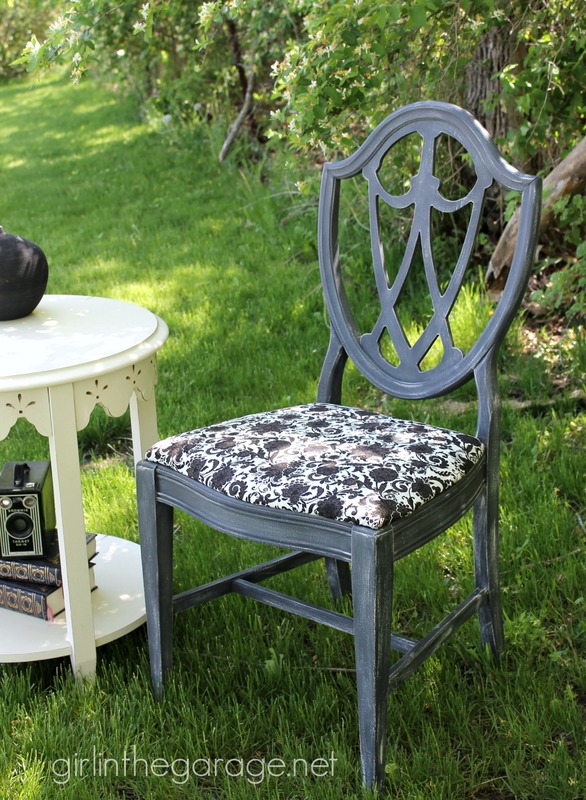 Love the paint color you used for this project and how the floral fabric coordinates perfectly. Where are you going to use this treasure? Thank you Paula- hope you’re having a great weekend! This chair will be for sale in my booth. I love dry brushing and the effect it can give! Your chair looks amazing!!! Beautiful job Jen! I love the graphite color you used and the fabric pattern. It’s beautiful!! Great job!! Thanks so much Crystal! Hope you’re having a great weekend! Cuteness. Love the gray color! Beautiful project Jen! 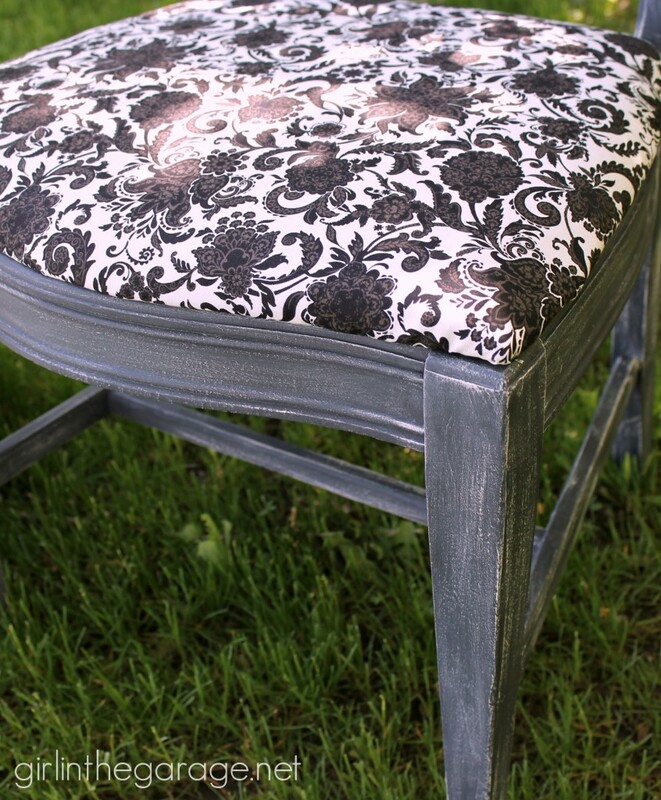 The color you dry brushed along with the fabric on the chair look incredible together.